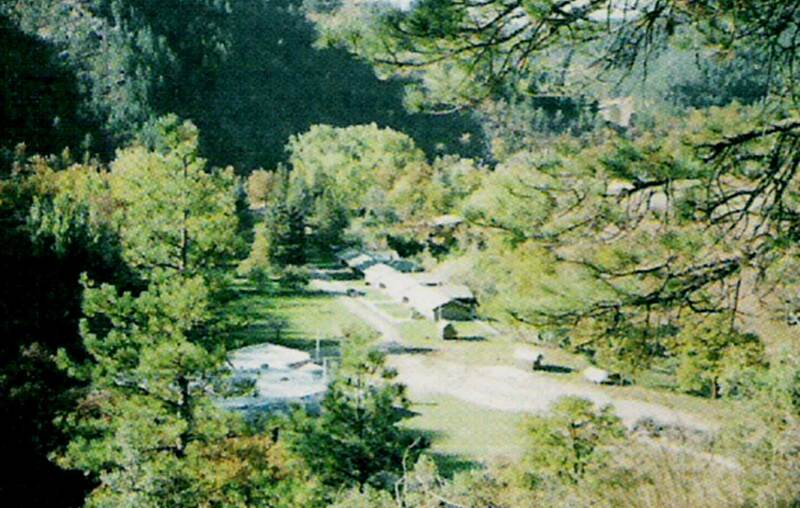 Ranch A is comprised of approximately 645 acres with all of the historic structures included. Ranch A is wholly owned by the state of Wyoming. Under the supervision of the State Lands & Investments Board, Ranch A is leased to a private, non profit group called the Ranch A Restoration Foundation (RARF). This group is charged with maintaining the ranch. While the state owns the property and directs the management of it, there is currently no funding provided for day-to-day operation, maintenance, repairs, improvements, or expansion of Ranch A. The first foundation meetings were held in January 1992. Articles of Incorporation and By-Laws were adopted and filed in February 1992. South Dakota School of Mines & Technology had a 10-year lease of the facilities until 1996. RARF then took over the care and management of the buildings and grounds. The Lodge, Babcock House, and apartments are currently utilized for lodging and rental income to fund operations. Small improvements have been made to the kitchen and baths, and upgrades of electrical and plumbing systems have been accomplished. A sprinkler system has been installed, roofs have been replaced, and the exteriors of the Lodge, Caretaker’s Quarters, and Barn have been restored. All renovations and repairs to the Lodge, Caretaker’s Quarters, and Barn must meet specific standards as they are part of the National Registry of Historic Places. Funds secured from special state legislation restored the logs on the three main buildings. Four of the original cabins were remodeled by the US government during their tenure and are now rented for additional income. The latest addition to the facility is high speed internet access. The members of the Foundation elect a Board and the members of the Board elect officers. This Board meets regularly to set policies and priorities, which are then implemented by the Resident Managers. Members of the current Board include property owners of adjacent lands and individuals who have an interest in preserving this historic property. Representatives of the South Dakota School of Mines & Technology and Black Hills State University serve on the Board. Also included is a representative from the United States Forest Service. If you are interested in renting Ranch A for your next meeting, convention, retreat, family reunion or weekend family getaway contact us at (307) 643-3101.